Did you know that Dubai EXPO will be held in 2020 ? EXPO 2016 also marked the 155th anniversary of The Great Exhibition, held in London in 1851. Many countries have taken part to exhibit their latest technology and art to the world, at Universal Exposition (EXPO) and have considered it as a showcase for future business. 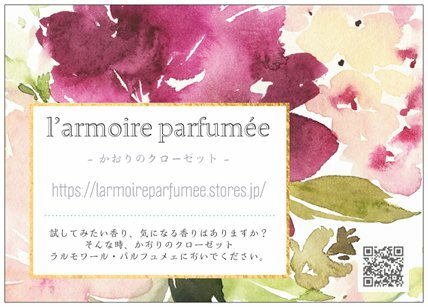 In fact, many Perfumeries used to receive "The Award of Technology" or "The Award of Excellence in Art" at the early EXPOs. The award winners certainly grabbed the opportunity to promote their products, with the promise of a glorious future.Such an award, was as prestigious as a Royal Warrants in that time. Today, I will introduce the two revived EXPO awarded perfumeries and how their masterpieces were reborn. "The Great Exhibition of 1851" (now EXPO) was held in the prime of Victorian period. It was based on the idea of Queen Victoria's husband Prince Albert, and staged with his particular interest and assistance. The Great Exhibition was an enormous successe. It was held in London's Hyde Park, within what became known as "The Crystal Palace" a huge beautifully made structure of Glass and Iron, and was a symbol of Victorian style. Grossmith, founded in 1835, was the only English company to be awarded a prize medal at The Great Exhibition for perfumes and essential oils. Although the company was awarded Royal Warrants by Queen Alexandra, together with the Royal Courts of Greece and Spain, from 1901 to 1925, they had sadly become dormant by early 1980s being unable to continue their business. After 30 years, Simon Brooke, the Great Great Grandson of the founder John Grossmith, re-established the company name at his own expense. Shem-el-Nessim (1906) named after an Arabian springtime festival celebrated in Egypt, was launched during their golden age. Not strictly Oriental as the name sounds, Shem-el-Nessim has a rich and smooth powdery floral scent, with a mauve cloud, which personifies the Edwardian era in which femininity was feted. It's tremendously well crafted, especially reprises the original 1906 formula, using rare and expensive Florentine iris (costing three times more than gold bullion) together with Heliotrope and Sandalwood. I can imagine a very warm-hearted, and generous lady, enjoying anEgyptian feast with her beloved ones, on a pleasant spring day. 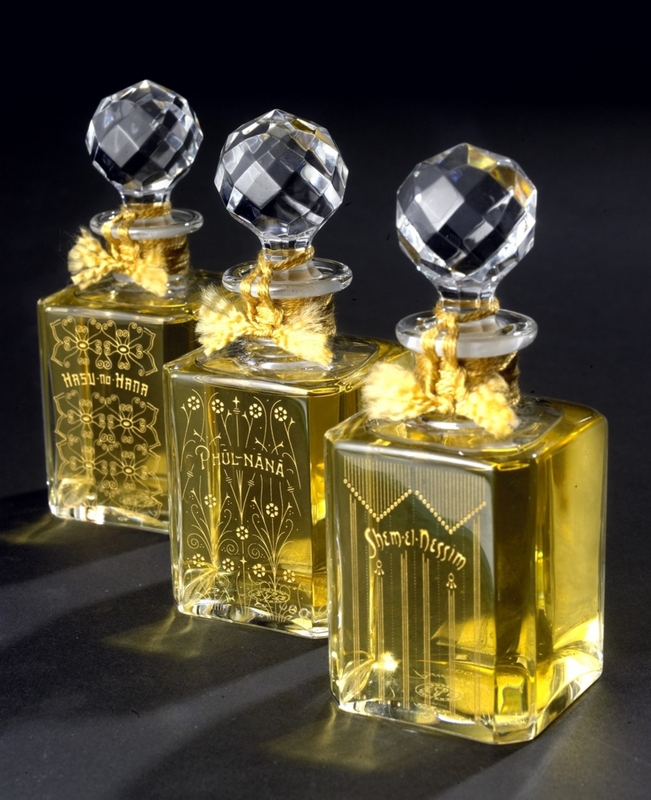 Grossmith even went as far as re-creating crystal flacons, using their original Baccarat moulds from 1919. As far as I know, Grossmith could be the most uncompromising perfume house, by reproducing such exquisite creations. 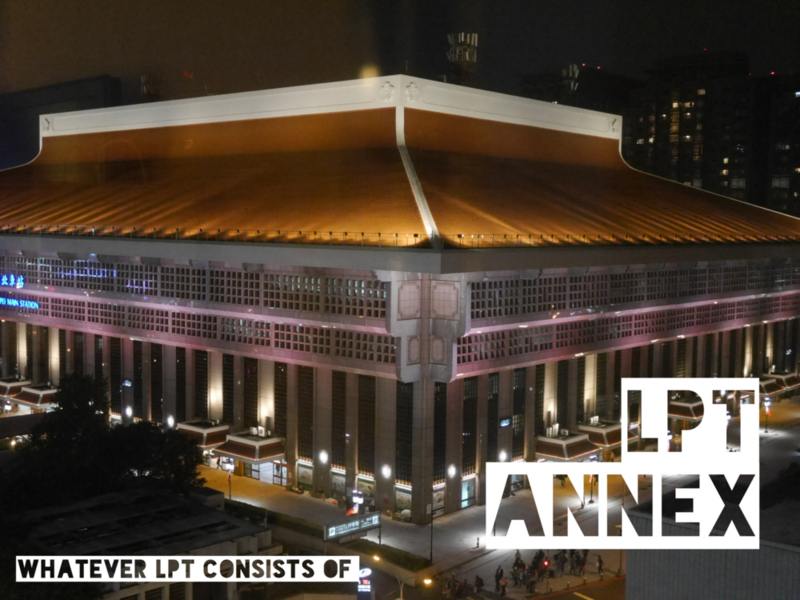 The International Exhibition of Modern Decorative and Industrial Arts 1925, one of World's fairs held in Paris, was famous for the EXPO in which the descriptive title Art0Deco was coined. It was a very French exhibition, which was retrospective towards traditional style and classicism, rather than the Avant-Garde art, such as Cubism etc. As the United States and Germany did not attend this particular exhibition, it gave Isabey (a new arrival Parisian perfumery founded in 1924, a year before EXPO) a chance to grab the Gold Prize. Instantly the name of Isabey spreaded from Paris to encompass the world. La Route d'Emeraude, inspired by "The Emerald Triangle" where the three countries of Thailand, Laos and Cambodia meet, was the most appraised creation among the Isabey line-up, and countless adverts of the period still remain. Closed in 1941 due to WW2, the perfume house was revived by the parent company Panouge in 2006, with the re-birth of La Route d'Emeraude in 2012 as the modern interpretation of the original formula. 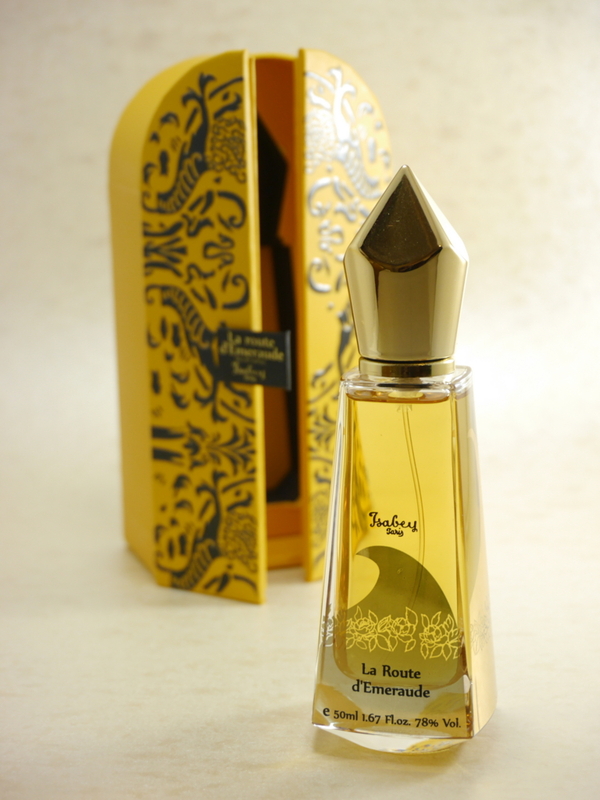 It has very much French Vive, contrary to the exotic name, owing to two different Jasmin oils - Jasmin Sanbac and Morrocan Jasmin Aabsolute, harmonised with Tubereuse, Benzoin and Amber. This matte sweetness evokes the great classics of the 1920s, as well as lavish Floriental fragrances of the 1980s. The sweet waft from your coat collar, suits the chill air in winter. The bottle, originally desinged by Julien Viard is housed in an exotic yellow case with a double door. I am very looking forward to EXPO 2020 in Dubai, anticipating how Arabian perfumeries will respond to the Western World, through their own rendering of oriental fragrances.